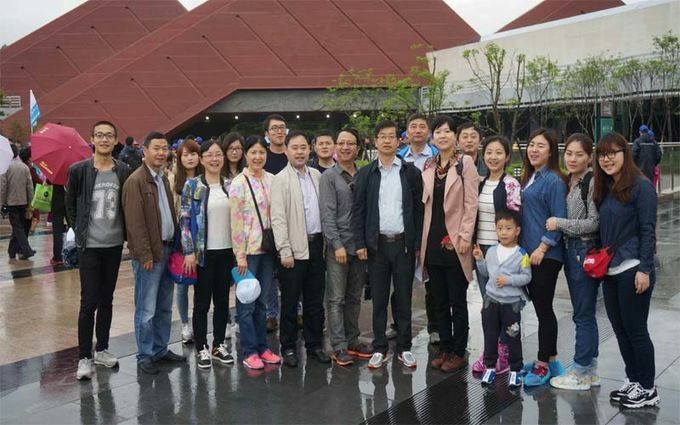 Year 1998~ 2015 Worked for Leviton, Aurex, Hytronik as senior R&D + Sales Directors. 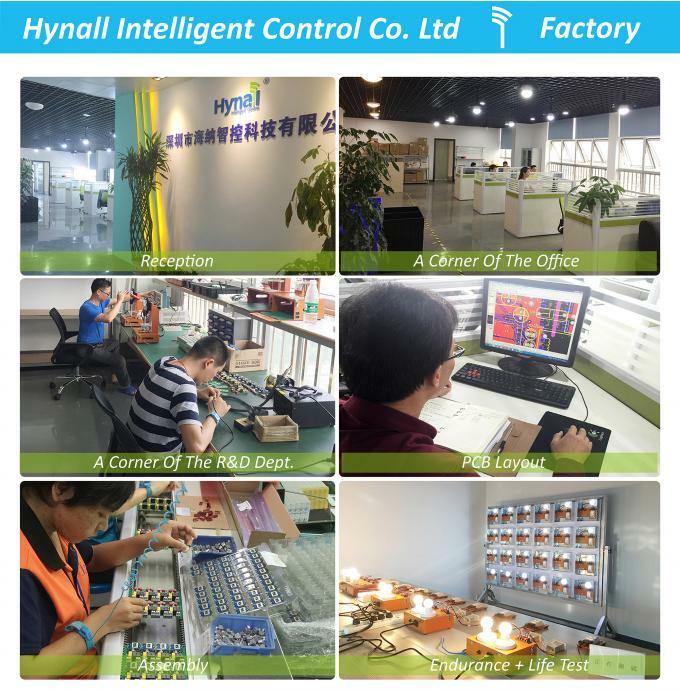 Year 2016 Establishment of Hynall, first batch products completed and started to sell over EU & US. 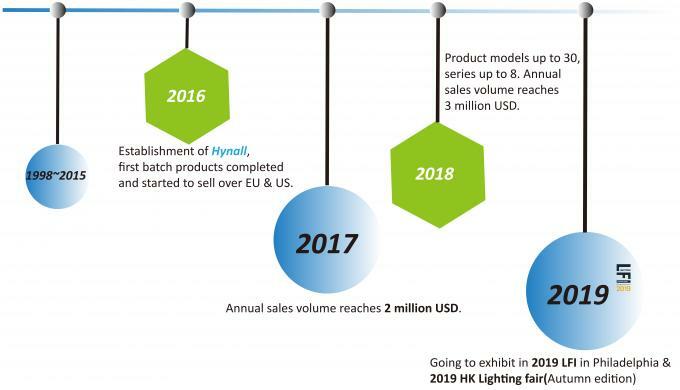 Year 2017 Annual sales volume reaches 2 million USD. Year 2018 Product models up to 30, series up to 8. 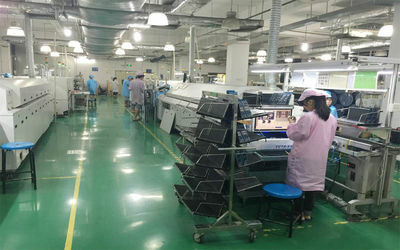 Annual sales volume reaches 3 million USD. We provides a full range of services with quickest responding at 7x24h. 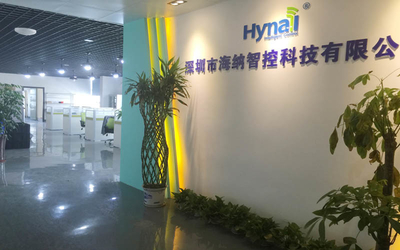 Starting from the customer inquiry, a series of fast actions including email / phone call / conference call / face to face meeting will take place, to get clear by both sides on the information exchange, in this way to save time and keep an efficient communication. 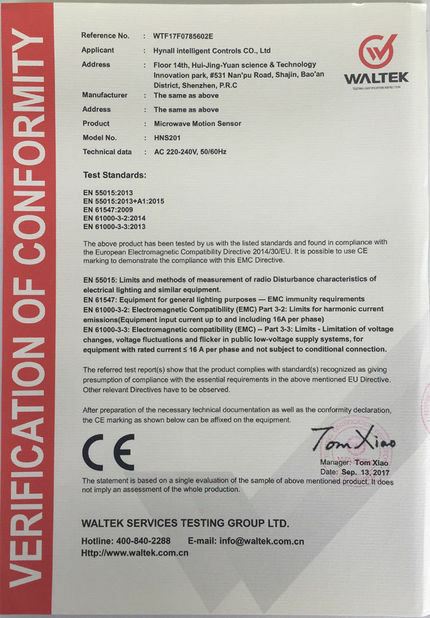 As soon as customer requirement is confirmed, for standard products, we'll immediately get into sampling procedure or mass order procedure. Normal lead time for mass order is max. 3~4 weeks. 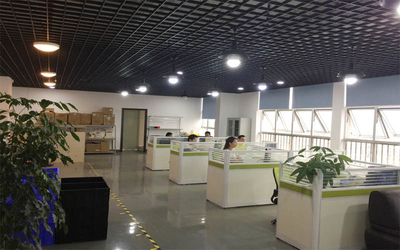 For OEM products, we'll start the OEM procedure, following by a detailed timetable containing all important timeline. 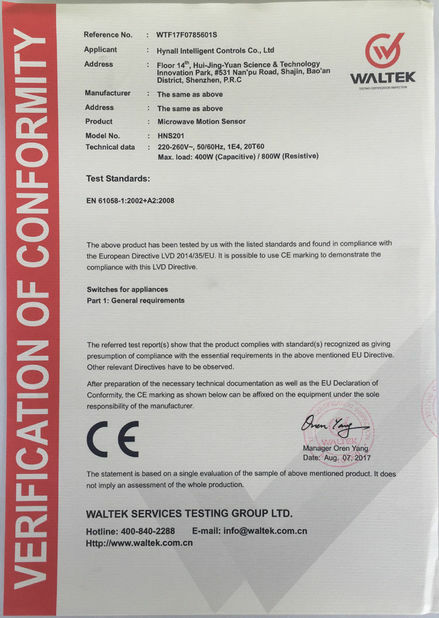 A solid guarantee of 5 years is given to all products we sell right from the date it's shipped, we take responsibility for every single pcs of product that going out from Hynall! As a new company who is growing fast, we are now a team of 30+ members, still getting stronger day by day. It is always an honor to have you with us during the way of our growth! -- To all of our dear customers, thank you! !